*This story is part of a special project on Innovators in Latin American and Caribbean Journalism. Each day in Caracas, reporters from different independent digital media sites in Venezuela visit the city’s morgues to collect data about the day’s victims. Name and surname, circumstances of death and other information about the deceased are recorded in a journalistic database and trends or important stories make their way onto the sites as more in-depth stories. Monitor de Víctimas (Victim Monitor) was created in May 2017 and is driven by Runrun.es, one of Venezuela’s main independent media sites, and the civil association Caracas Mi Convive. 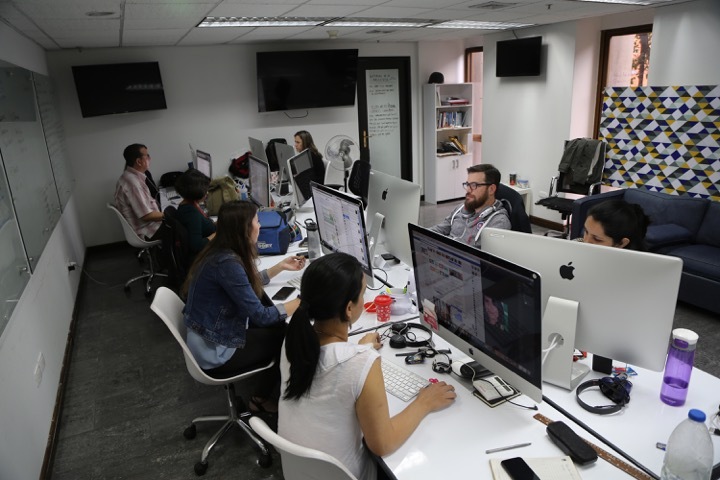 The project also counts on collaboration from other Venezuelan media –Efecto Cocuyo, Crónica Uno, El Pitazo and El Cooperante– and from newspaper El Universal. Using a combination of data journalism, citizen participation and investigative journalism, this project provides an essential window into the most violent city in the world. It is an example of the type of innovative approach to journalistic investigation that has come to exemplify the work of Runrun.es, its leadership and reporters. This kind of flexibility and creativity has ensured independent information for a country battling censorship and attacks from the government on a daily basis. Caracas is the most violent city in the world, according to the annual ranking developed by the Mexican organization Citizen Council for Public Safety and Criminal Justice, which looks at the 50 most violent cities on the planet. Caracas sees 130.35 homicides per 100,000 inhabitants each year. In second place is Acapulco (Mexico), with a rate of 113.24 homicides, and in third place is San Pedro Sula (Honduras), with 112.09. Four of the first ten cities are Venezuelan: in addition to Caracas, Maturín, Guayana and Valencia appear on the list. In the absence of official figures and data of victims, which the government “hides,” according to coordinator of Runrun.es’ investigative unit, Lisseth Boon, the team found a solution with the Monitor de Víctimas. "Since there is no access to official information about how many people die in Caracas, we are building a database of our own,” Nelson Eduardo Bocaranda, the site's editor-in-chief and general manager, told the Knight Center. In addition to recording basic data about the deceased, when reporters identify a story to highlight, they publish an article on the site with the help of civil association Caracas Mi Convive. The organization and its community leaders often reach out to families of the deceased in order to find more complete information. Additionally, several journalistic works are published every month based on trends identified in the database. For example, cases of families with several deceased members, or the discovery that in six months "there were 530 children left orphaned by deceased fathers in Caracas," said Carmen Riera, coordinator of special projects. Runrun.es is preparing the second phase of this journalistic project. The goal is for the Monitor de Víctimas to have its own website in April with all data open for any user to consult (currently, the database is restricted to the journalists that work on the project). According to Riera, this is the site’s "most relevant" project due to its duration and projections. This second phase of Monitor de Víctimas will incorporate other innovative elements, such as a print and online manual for writing articles with a focus on human rights and a school that will provide practical workshops for breaking news journalists in several of Venezuela’s provinces. Investigative journalism and the constant search for innovative elements to carry out journalism are some of the main hallmarks of Runrun.es, an independent website that began in 2009 as a Twitter account and blog, as explained by Bocaranda. While still studying journalism at the Andres Bello Catholic University in Caracas, Bocaranda spent six months in the United States –between 2002 and 2003– taking advantage of a long-term national strike in Venezuela, and ended up working at AOL Latin America. "It was the first time I combined the digital world with journalism, which were my two great passions," he said. At AOL Latin America, he was in charge of an information section about Hugo Chavez's Venezuela, the "Latino Roots" space about Latinos in the United States and the "Cuba Hoy" section. After returning to Venezuela and finishing his studies in journalism, he worked jobs in audiovisual production and communication. His father, Nelson Bocaranda, is a veteran and renowned Venezuelan journalist with more than 50 years of professional experience. He published a widely-read column in the press, called “Runrunes” (Rúnrun means “rumor” and “whisper” in Spanish), and he also had radio and television programs. 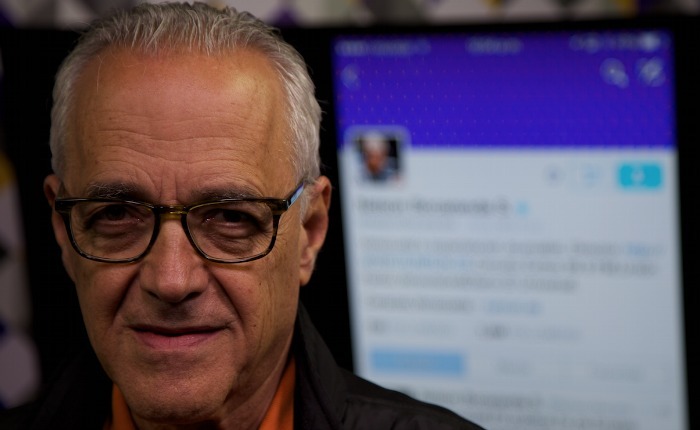 In 2009, in an environment of growing censorship and pressure on the media, "my father's radio program was canceled overnight due to government pressures on the station," Bocaranda explained. Then, a former boss from AOL Latinoamérica told him about the social network Twitter and encouraged him to open an account for his father so that he could connect directly with his audience from the radio. "At that time, the Twitter world was very incipient," Bocaranda explained, "but we started with 300 followers, 3,000 followers, 30,000 followers ... and we said: Ok, here is an audience that is eager to be informed. What is the next step? And it was to open a blog." That Twitter account and blog are the origins of Runrun.es. In the first phase, Nelson Bocaranda, the son, worked on the blog at night, scheduling the news for publication the following day. He included news not only from his father, but from several other colleagues. "The blog was gaining traction, and when we reached the first 100,000 reads in a month, we decided that we needed a more robust infrastructure," Bocaranda recalled. This is how Runrun.es’ first business plan was created, which, like today, had advertising as its main channel of income. The years 2009 and 2010 were spent developing and launching the Runrun.es blog. The illness of then-Venezuelan President Hugo Chávez prompted another key moment for the project. In November 2012, Nelson Bocaranda, the father, obtained medical information about the serious illness that Chávez suffered from, but was not allowed to publish it in the newspaper where he collaborated. So the Runrun.es blog became the space to also publish this material, which immediately had a huge impact. That year, the son participated with other Latin American journalists in a course on investigative journalism at the University of California at San Diego. In that course, he finished fine-tuning some aspects of the Runrun.es website, such as the idea of creating an investigative department, which has become one of the main hallmarks of what Runrun.es is today. This investigative team was formally created in May 2014. The essential part of the Runrun.es team is formed by its newsroom and by the journalistic investigations team, which add up to a dozen professionals. Additionally, the site has three people in the sales department, two people for the graphic and audiovisual department and two others who work in the administration area, in addition to the editor-in-chief Nelson Eduardo Bocaranda. The investigative team, currently led by Boon and composed of professionals with more experience, works at three speeds, according to the editor-in-chief. On the one hand, it conducts "quick, one-week" investigations. On the other, it also works on projects that have a somewhat longer duration, of at least one month. Finally, each year it develops a special project, such as the aforementioned Monitor de Víctimas, which usually includes work with databases, visualizations and related journalistic stories. It is common for these investigations to be carried out in collaboration with other media. Nelson Eduardo's father, Nelson Bocaranda, continues to publish his widely read column, "Los Runrunes de Bocaranda," on the site and they are frequently among the ten most read articles each month. He also participates in the weekly editorial meetings and is involved in the investigative team’s work. His extensive experience and contacts are invaluable to the team. Two of the key journalists involved with Runrun.es currently are Riera and Boon. Both worked at Cadena Capriles, which in its day had one of the largest multimedia newsrooms in Venezuela, made up of some 300 professionals. Riera was the Graphic Journalism and Audiovisual director at Cadena Capriles, where she was responsible for the areas of design, photography, infographics, video, archiving and web programming. She left when the group was sold in May 2014. A year later, in June 2015, she joined Runrun.es as newsroom coordinator. Last year, Riera requested to partially leave the day-to-day operations of the site and now works part-time as coordinator of special projects, like Monitor de Víctimas. She is also in charge of the current web redesign. Boon, current head of the investigative unit, worked for ten years as part of the investigative team at Cadena Capriles. Like many other journalists, she ended up abandoning the group after its sale to new owners and subsequent change of editorial line. The investigative unit at Runrun.es has had three coordinators. The first was Tamoa Calzadilla, who is currently in charge of Special Projects and Investigation at Univision Noticias. He was replaced by Ronna Rísquez, current web editor of investigation and analysis of organized crime at InSight Crime ES. And Boon has held the position since the end of 2017, though she’s been part of the team since joining the site. During her years at Runrun.es, Boon has worked on several journalistic investigations that have been awarded prizes. One was "a report about the selective contracting of Social Security” at a time "of a terrible crisis of scarcity of almost 90 percent of medical supplies and medications.” The project won an IPYS Award (Institute Press and Society, for its initials in Spanish) for investigative journalism. Some reports, as indicated, are carried out in collaboration with other media for reasons of both security and availability of resources. For example, Runrun.es and sites like El Pitazo participated in the investigation of the Panama Papers, a project that in Venezuela was led by Armando.info. Another work done in collaboration with Armando.info, El Pitazo and Poderopedia was the report "Cilia Flores' favorite nephew: The man behind the treasury," which offers a portrait of Carlos Erick Malpica Flores, nephew of the lawyer, politician and First Lady of Venezuela, Cilia Flores, wife of Nicolás Maduro. Former Treasury Secretary and treasurer of Petróleos de Venezuela (PDVSA), Malpica Flores was "a character who handled a lot of money and whose face, photo, or name were not known," Boon explained. Runrun.es is a site that, at the moment, has not generated profits. Bocaranda explains that they have managed to balance income and expenses "almost half of the months." When they do not succeed, they count on the contributions of partners and shareholders of the project, who have "the conviction that it is necessary to have open channels to keep citizens informed." Additionally, the phenomenon of hyperinflation experienced in the country for more than a year means that “any budget is annihilated from one month to the next,” the site’s editor-in-chief explained. For certain special investigative projects, Runrun.es has requested aid from international entities. It did so, for example, with a multimedia report on the OLP Operation Liberation and Protection of the People (OLP), a police operation to fight violence that began in July 2015 during Maduro’s government. The site worked with journalism platform for the Americas Connectas on the project. "OLP: The mask of official terror in Venezuela," denounced how at least 560 people were killed in Venezuela through this operation between July 2015 and June 2017. One of the areas in which Runrun.es constantly tries to innovate is that of advertising, which is the main source of income for the site. Runrun.es works with adservers from different countries to try to get the most out of its international audience, which accounts for 30 percent of traffic. Thus, it has specific agreements for the sale of segmented advertising in Spain, the United States and Colombia, and is preparing an agreement in Panama. 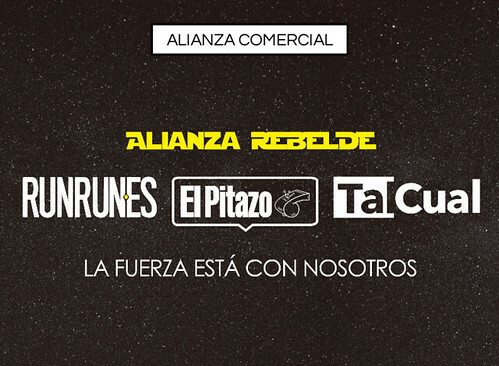 But the most original proposal was the creation of the Alianza Rebelde (Rebel Alliance), an agreement between Runrun.es and the sites TalCual and El Pitazo for the joint sale of advertising campaigns. Bocaranda explained the reason for this agreement: "We realized that if we joined media that had a similar editorial line, we could have better results" in the advertising market. "Independent digital media do not have the big budgets of traditional media, and what we have had to do is make some strategic alliances in an ecosystem where normally we would all be competing for the public,” Bocaranda explained. 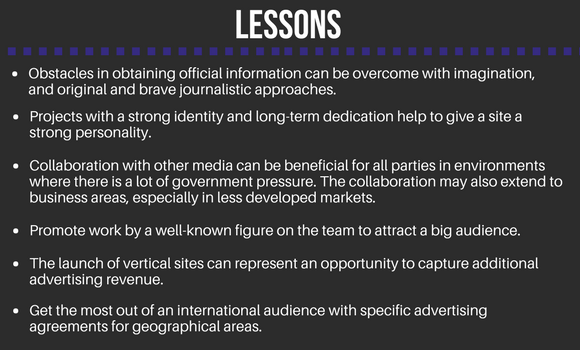 Thus, journalistic collaborations are common in which teams are shared "in order to effectively and efficiently cover one-time events,, such as elections or protests," he added. With the aim of attracting those advertisers who prefer not to be linked to information related to the political, economic and social situation that exists in Venezuela, the Runrun.es team is working on the launch of a new website. As its editor-in-chief said to the Knight Center, it will be a website with practical information and tips for daily life and will have a brand completely different from that of Runrun.es. Bocaranda explained that "the political issue is so marked here that brands are often afraid to advertise, because in a regime like the one we are living in, it is not surprising that by advertising in a media like Runrun.es, advertisers later receive visits from governmental entities.” The new site, which could see the light within three months, "would be devoted to issues that are not political in order to be able to find sponsorships,” Bocaranda added. This new project has a team of four people: a coordinator and three journalists. The site "is in the final stage of development, with sections that have already been defined” and the team has started to generate content, the editor-in-chief explained. One of the models that has inspired Bocaranda in the creation of the new site is that of BuzzFeed, in which "the trivial news ends up funding the real news and investigations,” he said. The team is also planning a new launch of the main Runrun.es site in the coming weeks. The project, coordinated by Riera, will simplify the site’s structure and utilize data visualization. It also aims to offer a better user experience and to improve loading times. Riera said the new Runrun.es design will have four major sections: news, Los Runrunes de Nelson, opinion and investigation – they want to give more relevance to these projects, like Monitor de Víctimas and others. The site’s traffic is very connected to the political and social news of Venezuela. The last few months have been "very turbulent," Bocaranda said, and this has caused traffic to spike to "between 7 and 10 million unique users per month." However, at other times, in which political activity has less relevance, traffic is lower. Approximately 70 percent of Runrun.es’ traffic comes from Venezuela. The remaining 30 percent is divided between the United States, Colombia and Spain, and also, although to a lesser extent, between countries such as Panama, Chile, Argentina or Mexico, which are also destinations of the Venezuelan wave of migration. Social networks, and Twitter in particular, are an essential part of Runrun.es’ approach and, as a matter of fact, are how Venezuelans generally obtain their news. The editor-in-chief of Runrun.es explains that "the first thing a Venezuelan does when he wakes up is to check Twitter because you never know what may be happening anywhere in the city." The networks also serve "to alert neighbors of things like where there is bread, where there is flour and other basic things," he added. For Runrun.es, networks such as Twitter and Facebook function as "multipliers of the message," the editor-in-chief said, since they refer to what is published on the page. But in addition, networks have also played an essential role when the site has been the victim of cyber attacks for political reasons. Bocaranda explains that in those cases, Facebook has been used to publish complete information from Runrun.es, and Twitter "to keep our audience informed about the attacks we receive" and to indicate where the news can be read. Runrun.es has not been attacked for a couple of months now, but this risk forces the site to allocate an important budget to server security. Runrun.es also has a channel on Telegram, which is aimed at some 8,000 people, and "which works like a megaphone" of what the site publishes, Bocaranda said. This channel is especially oriented to the millennial public, so "a language and a sense of humor that is completely different to the rest of our communications in other social networks" is used, said the editor-in-chief, who cites the site Verne, of the Spanish newspaper El País, as a source of inspiration regarding the tone used. "We try to keep it as fun as possible," he said. The threats to independent media and freedom of the press in Venezuela are not going to stop the Runrun.es team, says Boon: "It does not stop us from working for even a second. While we can, we will continue, we want to grow, we want to do more work, we want to continue informing, investigating, because here in Venezuela there is a lot of work to be done. I think it's one of the most exciting sites to do journalism." Riera corroborates that "continuing to fight, so that censorship does not prevail" and exposing "the corruption that exists in this government" is what motivates them to continue reporting. "We can not remain silent, there must be a record of all the atrocities, of all the corruption, and of everything that has happened here and continues to happen," she said. 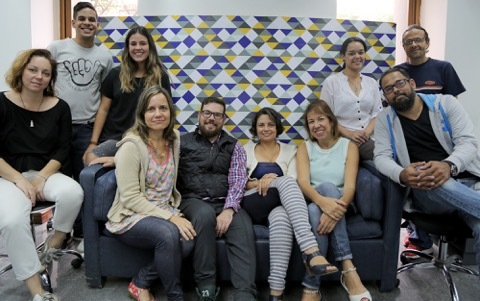 The "Innovators in Journalism" series, made possible thanks to generous support from Open Society Foundations, covers digital news media trends and best practices in Latin America and the Caribbean. 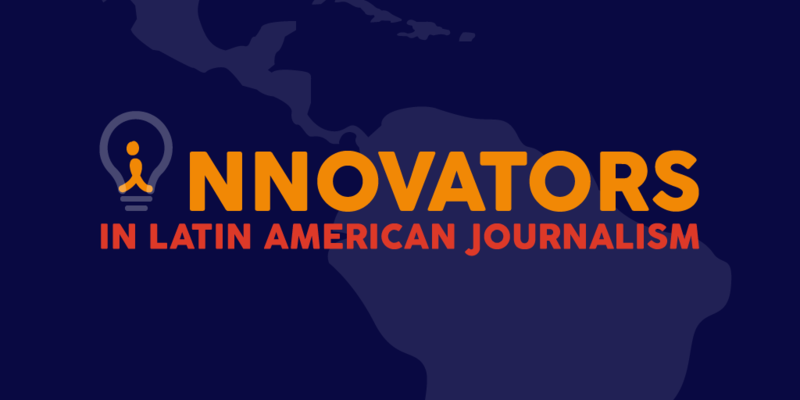 It expands upon our previous series and ebook, Innovative Journalism in Latin America, by looking at the people and teams leading innovative reporting, storytelling, distribution and financing initiatives in the region.